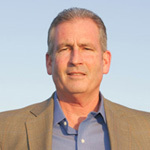 Mike O’Mara a member of the Florissant Valley community College in 1979 and 1980. In 1979 Mike was a NJCAA First Team All-Conference, All-Midwest, and All-American honors when the team was National Runner Ups. In 1981, Mike attended St. Louis University and for his efforts on and off the field, he received the Mark Demling 110% Award. Mike was also selected to the Mid-West Olympic Sports Festival Team in 1981. After his college career, Mike became a member of the MISL Kansas City Comets and in 1984 a member of the St. Louis Steamers MISL finalist. In 2001, Mike was inducted into the Florissant Community College Hall of Fame.